Standard Extending Handle 3’ - 6’ With 8 Standard brush. Constructed with aircraft grade, triple anodized aluminum for years of maintenance-free use. 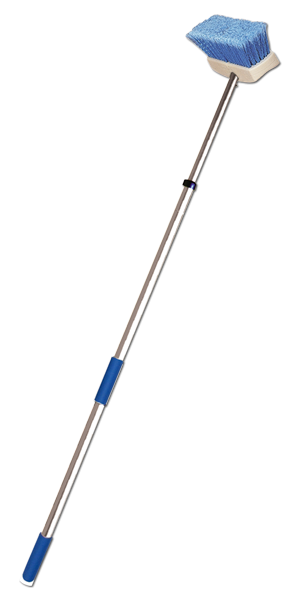 Medium duty 8" standard deck brush has high density Star prene* fibers for all-purpose deck cleaning.